Being one of the most prominent tourist attraction, Karamana river is considered as the pride of Trivandrum. Located just 15 km away from Gods Own Country Ayurveda resorts, Karamana river is rich in both and bounty. This is one of the prime rivers that sustains life in Kerala and is considered as holy by the local residents. The river holds up rich biodiversity which consists of wild-cane, bamboo, mangroves, water lillies and coconut trees, also one can spot rare species of pine or pandanus along the river bank and some rare fishes. 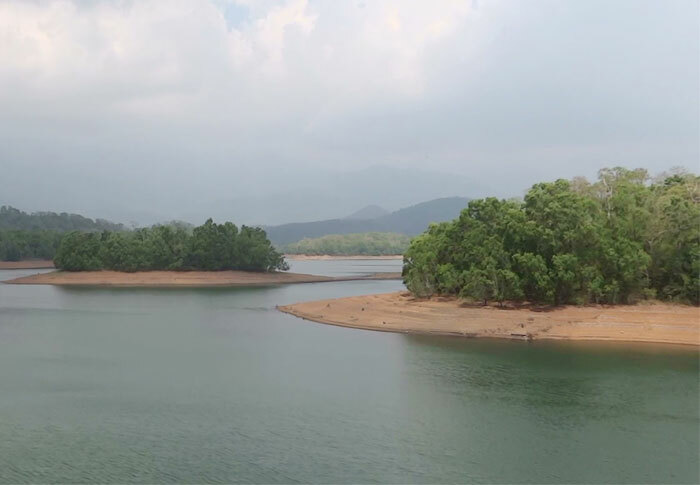 Offering a number of adventurous and romantic water spots, the Karamana River has gained immense popularity among the tourists, who have a fondness for water, ranging from all over the world. Karamana river is the pride of trivandrum. Being the prominent tourist attraction, people from all over the world come to see this river every day. If you want to wakeup to the amazing view of Karmana river then your best option is to find an accommodation near Karamana River. Gods Own Country Resorts provides best accomodation for people who visit the river. They also offer special accomodation rates also. Stay at Gods Own Country Resorts and enjoy a peaceful holiday.